There’s one thing worse than dying. It’s coming back to do it again and again… When the alien Gitai invade, Keiji Kiriya is just one of many raw recruits shoved into a suit of battle armor and sent out to kill. Keiji dies on the battlefield, only to find himself reborn each morning to fight and die again and again. On the 158th iteration though, he sees something different, something out of place: the female soldier. Is she the key to Keiji’s escape, or to his final death? 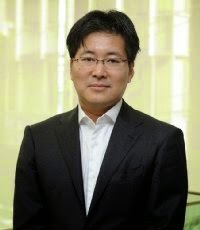 Sakurazaka made his debut in 2002 at the second Super Dash Novel Rookie of the Year Award with the novel Mahō tsukai no netto, which was later published in December 2003 under the name Yoku Wakaru Gendai Mahō. This work has subsequently been expanded into a series of light novels and has also been made into an anime. In 2004 he was presented the S-F Magazine Readers Award's best short story award for Saitama Chainsaw Shōjo (さいたまチェーンソー少女?). His 2004 novel All You Need Is Kill, received high praise from other authors in Japan and has subsequently been published in English by Viz Media. 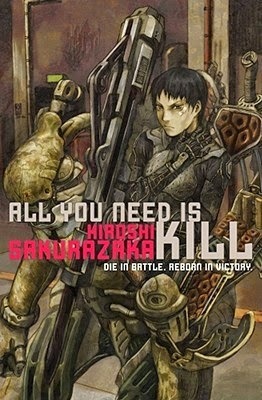 All you need is kill is a very short military sci-fi novel written by Hiroshi Sakurazaka. It follows the strange phenomenon encountered by a young soldier named Kiriya Keiji on his first day of battling the alien menace known as the Mimics. After killing a strange looking mimic and consequently dying, he wakes up in bed 30 hours prior, thinking it was all a dream. After dying again and waking up in the same place, he realizes something is wrong. Every time he dies, he just wakes up the morning before and re-lives the worst day of his life until he can finally stop dying. It has been described as, “Groundhog Day with guns” but other than the time loop, this book has a story, setting and feeling all its own. It reads like you’re watching a very well made anime. 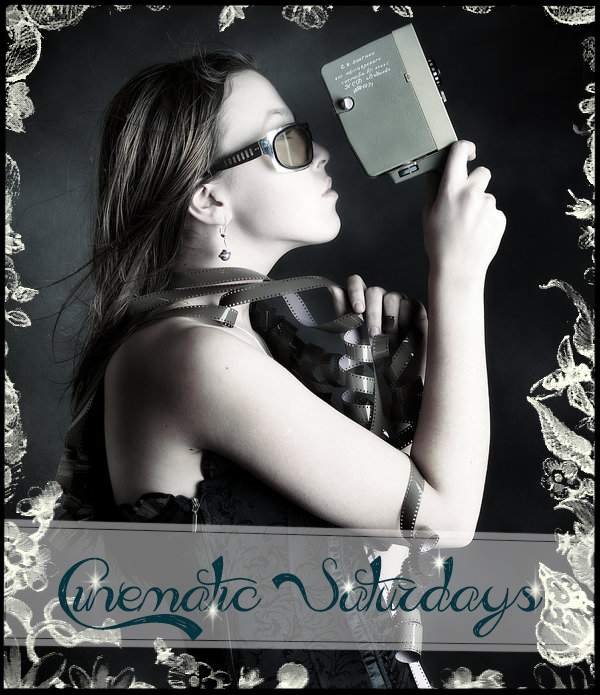 The imagery is spot on and the characters are interesting and well fleshed out. Kiriya’s evolution through the story, and his relationship with the mysterious Rita Vrataski (a fellow soldier who has become a legend) are all very well done and interesting to read. The alien menace is extremely unique in both their design, and function. I always struggle to find something new in sci-fi when everything seems to be composed of the same tropes over and over again. It was nice to find an interesting reworking of the tired old, “alien invasion of earth in the near future” thing. As a huge sci-fi fan, it isn’t every day that I read something that I don’t feel I’ve read before in one way or another. It was with much surprise then, when I found myself unable to put this book down. The world seemed very believable as an apocalyptic scenario of the not so distant future. The aliens were a threat to behold and our technology was advanced, but not enough to give us a leg up on our mollusk-like foe. A mollusk with conductive sand for blood that shoots huge spears out of its body faster than a bullet and terraforms the earth by eating soil and excreting toxins isn’t something you run across every day. The time loops were amazing, and the effect they had on the character and the story were extremely well thought out, to the point where they become Kiriya’s superpower and the bane of his existence. I am usually not a big fan of books made into movies. This is especially true when things are changed in the movie to make it more palatable to a wider audience. 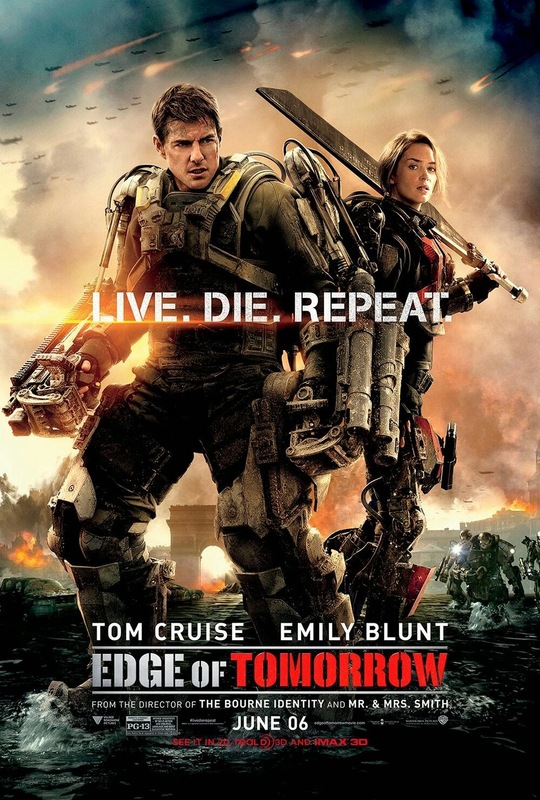 That being said, Edge of Tomorrow is one of the best sci-fi movies I’ve seen this year. It is rare enough for me to want to pay for a ticket to watch a movie. It’s even rarer for me to do it twice for the same movie. 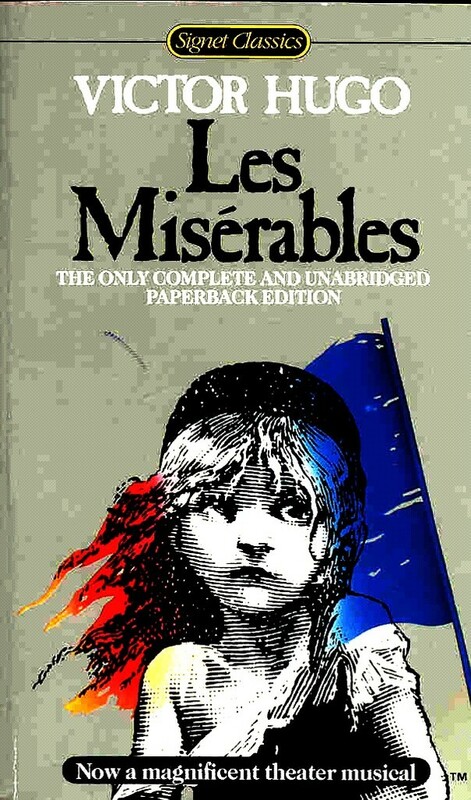 It is almost impossibly rare for that movie to be based on a scarcely known book that I actually enjoyed. Now there were things that bugged me. Some of the changes made between the book and the movie smacked of being based on the opinions of a focus group or George Lucas. Not all of the changes were bad, and some seemed to help the story out a bit. For instance, changing the ending from an open ended one to an ending that actually seemed to accomplish an over-arching objective was one I didn’t mind. The comedy in and out of the action sequences was a welcome addition as well. There were a multitude of relatively minor stylistic changes that I didn’t mind either: Flying into battle instead of walking, Rita’s Blonde hair instead of Red, the mimics being more like mollusks with conductive sand for blood instead of…whatever they were in the movie. Also the backstory for the aliens was omitted. These were relatively small and inconsequential, and in any movie/book adaptation they are to be expected. However, there were some changes that would have totally ruined the movie for me, had it not been such a well- made and enjoyable romp. Rita was a skinny little red headed, flat chested girl with ample motivation and interesting backstory. The movie portrays her as a tall blonde, full-figured woman with no backstory. Some elements are hinted at in the movie but never pulled to the surface. The fact that they mention a part of her history and never resolve it leaves the story with some holes. To anyone who has read the book, this omission is glaring, and had me wondering if there was a deleted scene that dealt with the topic of her old mentor, her pig farm, the death of her parents, etc. The melee weapon that Rita uses in the book is a humongous battle axe, not a medium sized sword. This might not seem like that big of a deal, but it is one of the most immediately recognizable pieces of gear in the book and accompanying manga. It would be like replacing the ring in Lord of the Rings with a necklace. Also of note is that both the main character and Rita use this weapon. In the movie, the sword is only used by Rita. The second half of the movie is almost nothing like the second half of the book. I won’t spoil either, but to anyone who has read the book, it was like the script writers just didn’t get the second half of the book mailed to them so they decided to write one for themselves. At first these last changes really annoyed me. Tom Cruise’s character didn’t seem to have the same attitude as Kiriya. Where Kiriya was deep and introspective, Cage was a pretty boy jerk who learned a lesson. Expecting to see Japan and being struck with England was also rather jarring. There were multiple reasons in the book why japan was the location of choice. After the shock wore off and I decided to enjoy the film for what it was, I didn’t mind the changes as much, and they even worked out to the movie’s advantage in some ways. For example, in the beginning of the movie, Sergeant Cage of the U.S. military (a journalist in the army) is flown in for what he thinks is an interview for the general in Britain. When he arrives, he is informed that he will be joining the front lines to document the big upcoming battle. He refuses and attempts to blackmail the general but is arrested and tased and wakes up on a pile of luggage at the forward operating base. He is stripped of all rank and insignia and his commanding officer is informed that he is a new recruit who impersonated an officer to desert his duties and that nothing he says should be trusted. This makes for some hilarious fish out of water moments, and though I wouldn’t say it is a better choice than what happened in the movie, I would at least say it was equally as good. The Groundhog Day moments were also very well done. With no needless repetition boring you to death, but nothing too important left out either. Also, even though the second half is completely different than its literary counterpart, it wraps everything up in a nice little ribbon for easy digestion. After a while I started to see the two works as being different sides of the same coin. After I made that jump, and thought of them as being separate stories instead of a retelling of the original, I really enjoyed the trip. The action was extremely well done. The comedy was spot on and sometimes dark and edgy. The relationships were hashed out really well. I would immediately recommend any fans of great action films, sci-fi, military or even comedy to shell out for a ticket. I would even suggest seeing it in 3d to get that extra immersion (even though usually 3d tends to be a waste).